Michael Schewe | Peckar & Abramson, P.C. As a member of Peckar & Abramson’s Labor & Employment Law Group, Michael Schewe regularly counsels businesses in New York and New Jersey on issues relating to labor and employment law compliance. An experienced litigator and trial attorney, Mr. Schewe frequently appears in state (NY/NJ) and federal (DNJ, EDNY, SDNY) courts, primarily in cases involving labor and employment law, but also regarding other types of complex and commercial litigation. provides employers with I-9 training sessions, internal self-audits, and representation in the event of government audits. Mr. Schewe practices immigration law in all 50 states, and has clients in various countries around the globe. Mr. Schewe graduated from Marist College in 2006 and Seton Hall University School of Law in 2009. He holds an Honorary Degree from Peking University in Beijing, China. 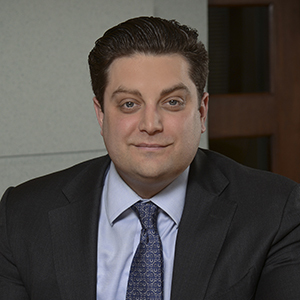 Mr. Schewe has been selected for inclusion in the 2015-2019 editions of New Jersey Super Lawyers – Rising Stars. A frequent author, he has written articles for the New Jersey Business and Industry Association, New Jersey Law Journal and Law Practice Magazine, among other sources. “The Modern Day Mobile Lawyer’s Manifesto.” Published in the following: ABA Section of Litigation, Solo and Small Firm, Winter 2013 [Vol. 5, No. 2] (February 12, 2013), New York State Bar Association, Young Lawyers Section, “Electronically-in-Touch” (2011, 2 issues), New Jersey State Bar Association, Young Lawyers Division, “YLD Dictum” (2011-2012, 3 issues), Podcast Interview with Jack Newton, CEO of Clio. Legal Talk Network (August 28, 2011).